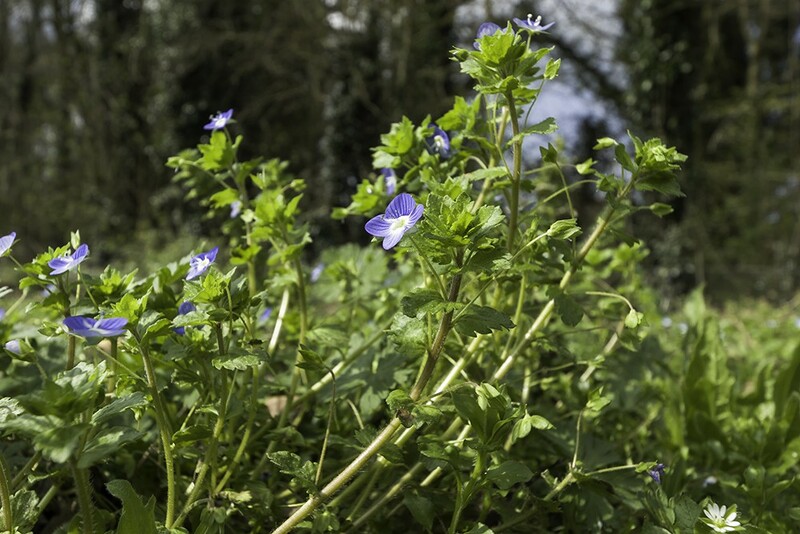 One of several species of low, sprawling speedwells that bare solitary flowers that arise from the leaf axils. 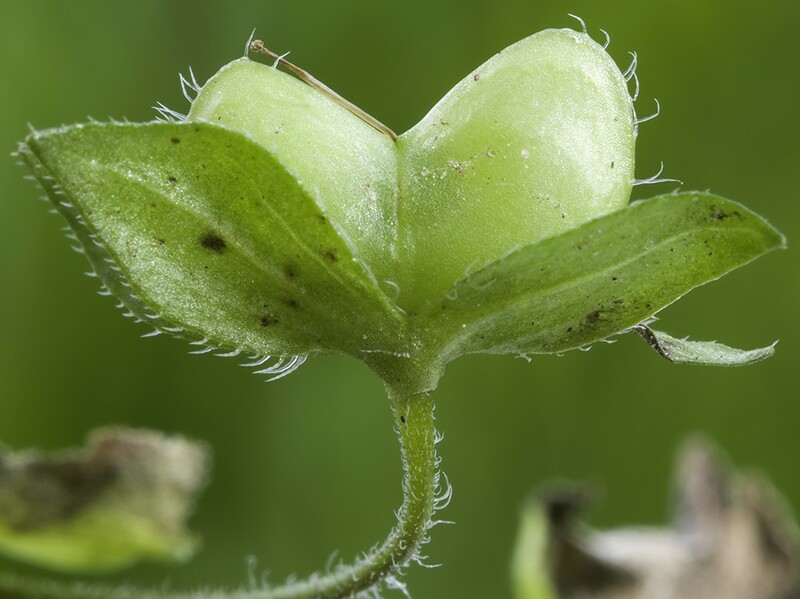 Common Field-speedwell can be distinguished from the others by its large sky blue flowers with dark veins and the angle of the notch between the two halves of its fruit. In Grey and Green Field-speedwell the angle is about 45° but in this species, it is more like 90° (see photo on the right). Common Field-speedwell can be found in flower every month of the year but is at its peak between June to September. Common field-speedwell is probably native to the mountains of the Caucasus & Northern Iran and was first recorded in the wild in 1826. It is one of very few neophytes we sell because, although comparatively new to Britain, it has rapidly become establish across the country without having a noticeably detrimental effect upon other species. 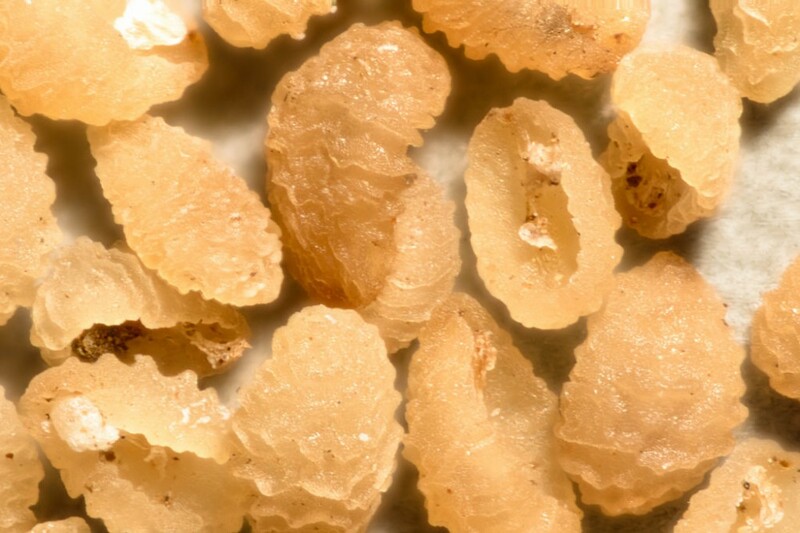 It is an annual found on disturbed fertile soils such as arable fields, waste land and garden beds. Easy to grow from seed sown at any time of the year.